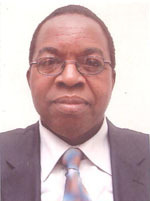 John Oamen Igene, born 27-03-48, studied Agriculture at the University of Ibadan (1970- 1973), Nigeria and earned M.Sc. and Ph.D in Food Science at the Michigan State University, East Lansing Michigan, USA (1975-1979) with academic scholarships. His specialization includes animal products, science and technology, food chemistry, food processing and post harvest technology. He became a full Professor of Food Science & Technology in 1987 at age 39 years while at the University of Maiduguri, Maiduguri Nigeria. At the University of Maiduguri, he pioneered the development of the 1st ever Department of Food Science & Technology in a Northern based University in 1981 and in 1985, he was appointed the Foundation Dean of the School of Post Graduate Studies; and held the positions of Head of the Department of Food Science & Technology between 1984 and 1993 and of the Dean of Post Graduate Studies (1985-1992) concurrently. He made great strides and significant impacts while serving at the University of Maiduguri. Several of his former students have now become professors; and senior civil servants, holding significant positions in academia, industry and in the civil service. Professor Igene has been the recipient of several coveted Awards, Honours, Scholarships and Fellowships such as the Pfizer Travel Fellowship (1981), Senior Fulbright Fellowship (1982), and Association of Commonwealth Universities (ACU) Fellowship (1989) to the University of Agriculture, Malaysia; and the Nigerian Institute of Food Science & Technology (NIFST) Fellowship (1987). He was President of the Nigerian Institute of Food Science & Technology (NIFST) between 1993 and 1995 and a member of the Governing Council of NIFST (1988-2006). He is a Principal Partner of Jostraig Nig. Ltd (Consulting Firm). He has been a Consultant to several organizations such as the UNDP (1995-2004), FAO( 1985-1993, 2010), UNICEF(1992), Harvard Institute for International Development (1993-1995), Several Agricultural Development Programmes (1987-19995), Federal Ministry of Agriculture and Rural Development (1992-1996), the Niger Delta Development Commission(NDDC) on the Master Plan Project from 2002-2005. He was a Full time Consultant on Agro-processing with the National Programme for Food Security (FGN/FAO between 2008 and 2010 while on sabbatical leave; the Raw Materials Research & Development Council (RMRDC) between 1989 and 2008 and the Federal Ministry of Industries(1995-1998) as well as several private – sector organizations in Nigeria. He was the Chairman of National committee for the Standard Organization of Nigeria (SON) on the development of Industrial standards for Suya products and he is currently a member of Education Trust Fund (ETF) Technical Advisory Group TAG) on Book Development. He was an Adviser to the Federal Government of Nigeria delegation to the International Conference on Nutrition in Rome, Italy (1992). As a creative individual, he has won several international research grants (FAO 1987; USAID 2003-2005) for the transformation of Kilishi production process from pilot plant stage to commercialization; Merit award, University of Nigeria Nsukka (2005) on the development of Kilishi process technology, and the certificate of Excellence awarded by the National Universities Commission (NUC) for the Development of modern Kilishi process technology (2005). In 2008, the Nigerian Army procured over 5000.0 packs of Proff’s Kilishi for the troops in Dafur, Sudan from our kilishi factory at the University of Benin. The kilishi process technology developed by Prof. John Igene and Associates has recently been adopted for commercialization by the National Programme for Food Security with several small-scale kilishi factories slated for Yobe State (NPFS, 2010). RMRDC has long adopted the same kilishi process technology for National development (since 2004) through workshops and extension training programmes. Professor Igene in 2009 published a major book on Traditional African meat products (250 pp)with Lambert Academic Publishing(LAP), Germany ( see amazon.com) as well as another book on Food Security challenges in Nigeria (2009) also with LAP and has been well recognized for his work. He is faithfully and happily married to Dr (Mrs) Stella Igene and they have four children. Prof. Igene is a very dedicated reviewer for AJFAND. His support is highly appreciated. Thank you so much Prof. Ed. AJFAND. I did my undergraduate degree at Egerton University and the master’s degree at Nairobi University. Currently, I am seeking admission for a doctorate degree. 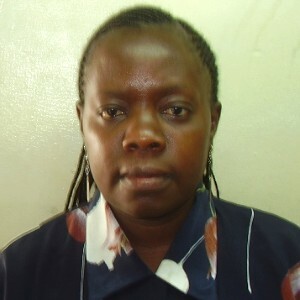 I am a lecturer at Kenya Industrial Training Institute, Ministry of Industrialization. I head the Management and Entrepreneurship Department. I teach in the Food and Beverage department. I also teach statistics across the departments. My biggest interest is in the area of traditional vegetables. How they can be utilized better and also preserved, especially the vitamins. I have a passion of seeing Kenya fulfill its Millenium Development Goals in attaining food security and in reduction of malnutrition in children under five years old. I am also in charge of Guidance and Counseling Department. The department is mandated to offer guidance and counseling for both the students and the staff. My dream is to see young people being transformed into responsible citizens who can proudly, live upright, independent and productive lives. Ms Muchoki is a very keen and timely reviewer of AJFAND manuscripts. She is a bright young girl and we wish her well and she seeks to pursue her doctoral studies. Ed. AJFAND.